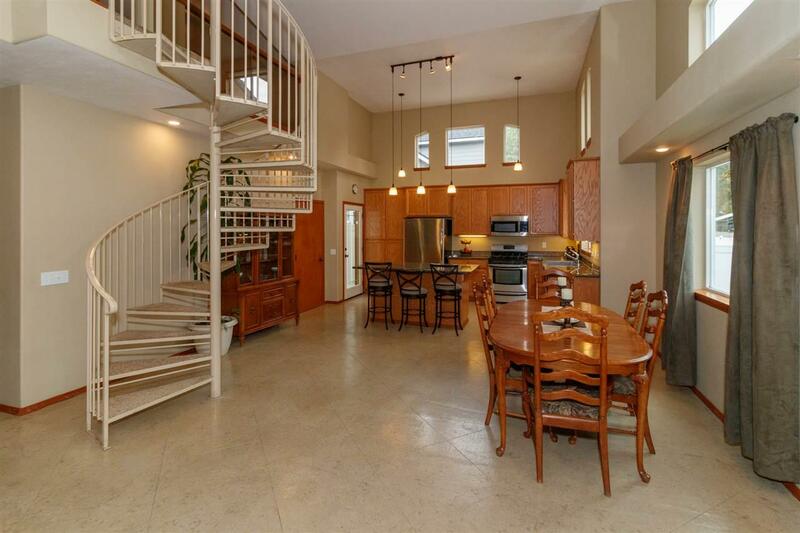 Soaring ceilings in this bright Rancher w/ spiral staircase to spacious loft. 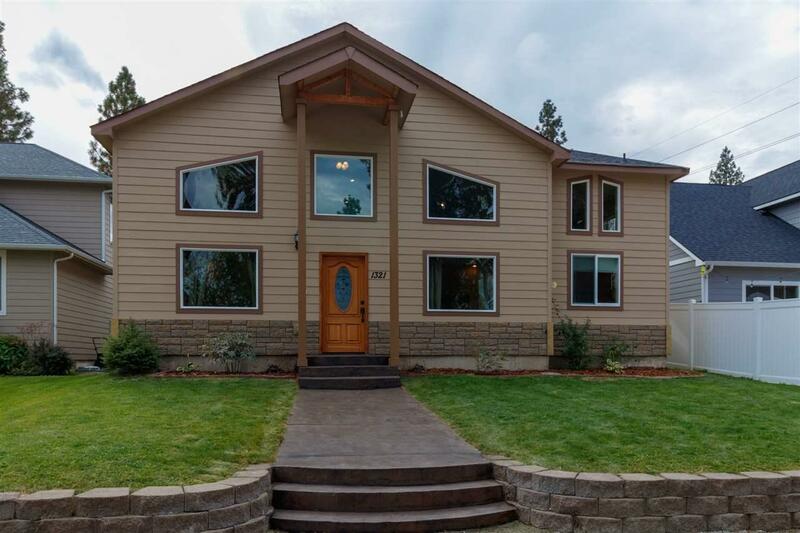 Builder's own home utilizes a practical open floor plan you will love. 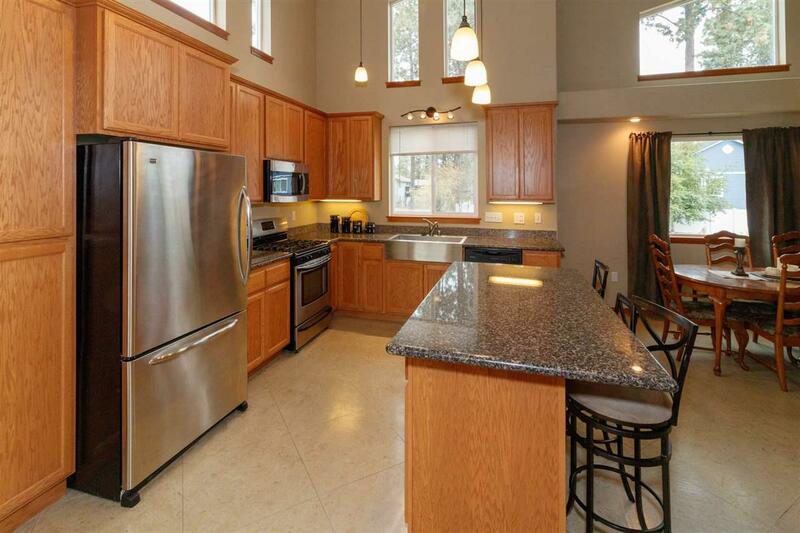 Gourmet kitchen w/ stainless appliances & slab granite island & counters. 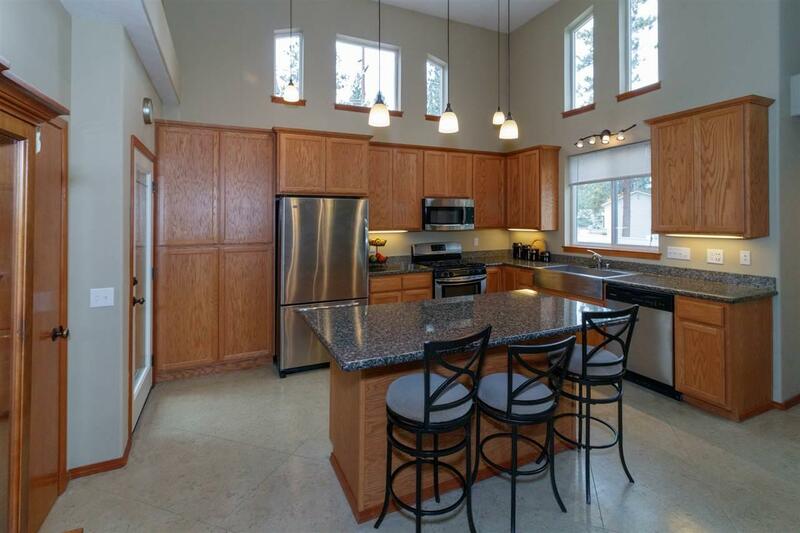 Radiant concrete floor heat & lots of natural light. Large walk-in closet in master bedroom w/ en-suite bath. Deep 3-car garage w/ mechanical/storage room that stays warm. Cement/fiber/ stone exterior. Low maintenance small lot. Basement is a bright usable Loft instead of a dark dungeon!